Give mom the gift of music – there are still a few tickets left for Broadway in Fresno’s production of Memphis the Musical. 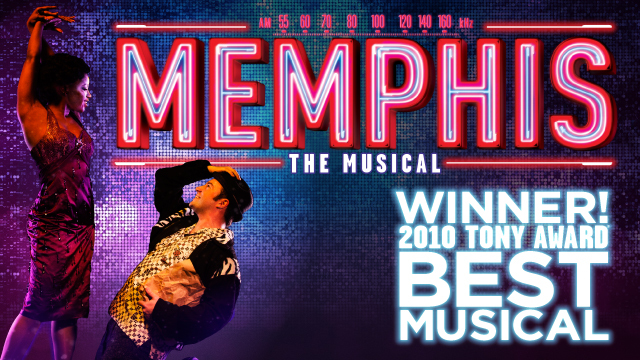 Winner of the 2010 Tony Award for Best Musical, this show uses electrifying dance and soaring music to the true story of the early days of rock & roll in 1950s Memphis. 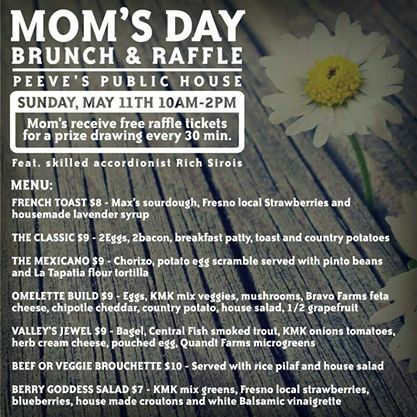 Join Arte Américas for the 16th Annual Mother’s Day Champagne Brunch. This year the event will feature Mexican and Portuguese flavor with a musical program that includes marimba music. Tickets: $45 and include music and brunch on the Plaza. Fresh fruit, Belgian waffles, prime rib, kids menu. Click here to view the full menu! Sunday May 11th from 10am-2pm. Peeve’s Public House doesn’t go halfway on anything. They’re all local, all the time and you better believe it’s delish! In all reality, this is only a small sampling of the ways you can get on your mommy’s good side in Downtown Fresno. If you have other ideas or ways you’re celebrating Mom this year leave ’em in the comments!